There are few things that I know of that have as great an impact on our lives as words do. Words have a way of creating magic. Which is why it was an enriching experience to have amongst us the renowned Australian childrens’ book author Mr. Mark Macleod. 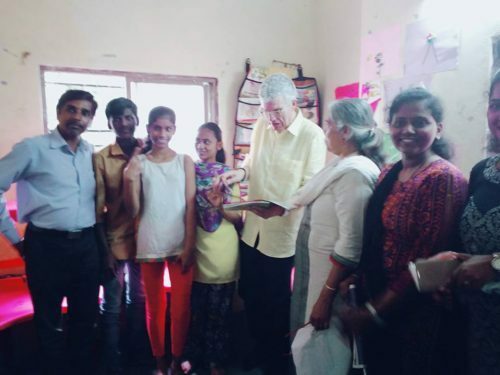 Mark visited the Chaitanya Nagar Centre and interacted with VIDYA children of class 8-10 from semi-English medium. Mark ensured that the language was not a barrier but an enabler that helped our children to understand his ideas and teachings better. He was extremely emotive and his gestures also made it easy for children to understand him. His positivity and enthusiasm was infectious and created a very charged atmosphere, ready for learning. Mark began by talking to everyone on understanding what to write about, and then about what makes a good author. You have to be observant. We are all surrounded by stories, so it’s necessary to notice things that others don’t. It’s important not to worry about whether you think that the writing is good enough or not. He asked everyone to work in pairs and then narrate a story to their partner on the happenings of the morning. It didn’t need not be about something important, it need not be long or big and an ending is not necessary. This activity was then followed by narration of stories by students from their experiences. 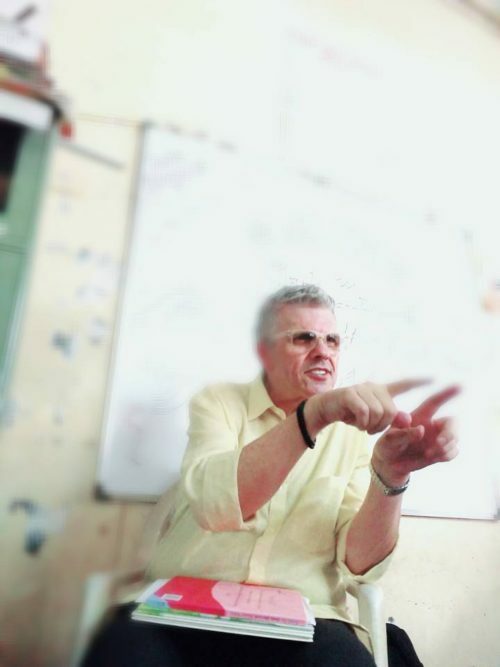 It was clear that Mark’s guidelines had been kept in mind as all the students narrated their anecdotes in a clear and concise manner. What does it take to be a children’s book author? It’s important to be a child at heart to be a children’s author and remember how it felt to be a child. Did you have a favourite book or poem amongst the book that he has penned so far? Has he ever collaborated with children in writing books? No, but I always consult children! They are the ones who can give me authentic feedback in terms of word usage and slang etc. What is his interpretation of peace and how it is relevant for an individual? I believe that peace is not just about world peace as a concept, but about being kind to each other at an individual level. It’s important to ensure that peace is about helping each other in every possible way. To conclude everyone thanked Mark for sharing his time and wonderful ideas with them. I’m sure that the inputs given by Mark will help VIDYA children in becoming better writers and also appreciate the writings of many different authors as well! The session ended with Mark being presented a memento by Vidya Team and greeting card by VIDYA students. Another highlight of the entire interaction was the articulate translation done by the students and teachers of VIDYA, it ensured that it was a nurturing and enriching experience for all those who were involved.